One of the top reasons I love my job is that we get to hang out with some really smart people as we build our portfolio of learning designed to keep CPAs ahead in this rapidly changing and complex world. We know that the core technical tax, accounting and auditing will always be needed but more and more, the differentiators for organizations and individuals is in the “soft skill” areas (we like the term “success skills”) that include leadership, communication, collaboration, strategic thinking and being technologically savvy (See the Top 5 Skills for CPAs from our research for the CPA Horizons 2025 Project). 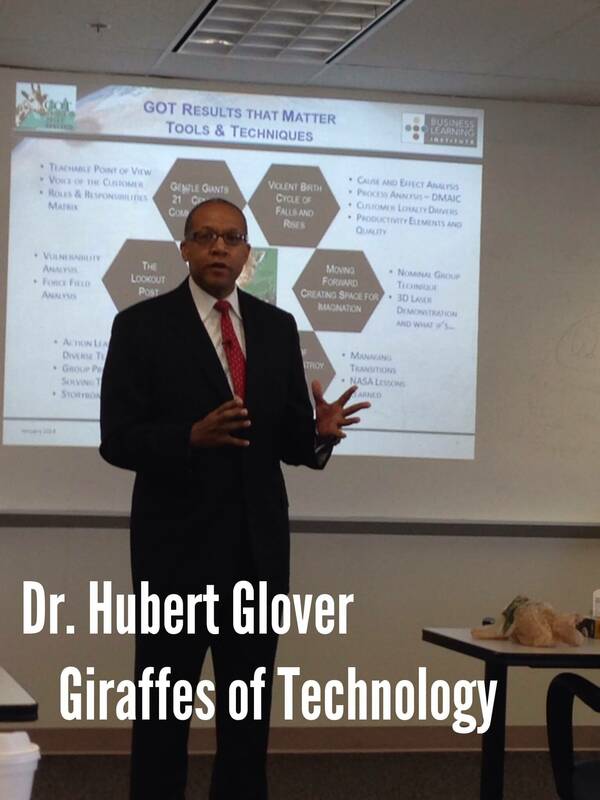 Just last week I got to sit down with one of our newest BLI thought leaders, Dr. Hubert Glover and his insights about how giraffes can teach us a thing or two about leadership. Acting as a lookout post for your community (not just other giraffes). Communicating as a gentle giant with humility or as we like to say humbition. Dealing with a violent birth and learning to get back up – resiliency. Moving forward to feed (your mind) by keeping your L>C. Dealing with the lions of change. Blending into new herds (diversity = innovation and growth). Now watch this clip of Dr. Glover when visited us to film an upcoming BLI course on 21st Century Leadership featuring his latest book, Giraffes of Technology, The Making of the 21st Century Leader. Look for our upcoming course with Dr. Glover or contact us to bring it in-house to your organization. What is the Business Learning Institute (BLI)? BLI is to MACPA as the Robert H. Smith School of Business is to the University of Maryland or Xerox PARC is to Xerox. BLI is the learning and innovation center for the MACPA. It is where we have developed a portfolio of “success skill” courses with a cadre of thought leaders who represent experts in areas like change, leadership, business development, communication. BLI is also the co-developer of our i2a: Insights to Action Strategic Thinking System used in strategic planning and in leadership development.